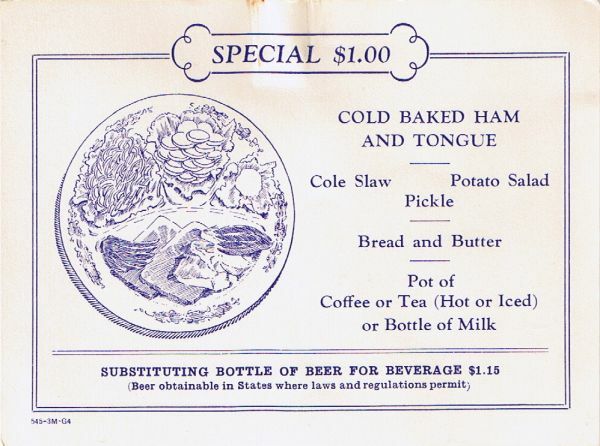 Description Pullman insert (called a rider by Pullman) used on buffet menu Form 273-15C-G5 (2 inserts) advertising a Special $1.00 - Cold Baked Ham and Tongue, Cole Slaw, Potato Salad, Pickle, Bread and Butter, Pot of Coffee or Tea (Hot or Iced) or Bottle of Milk. Substituting Bottle of Beer for Beverage $1.15 (Beer obtainable in States where laws and regulations permit) 545-3M-G4. 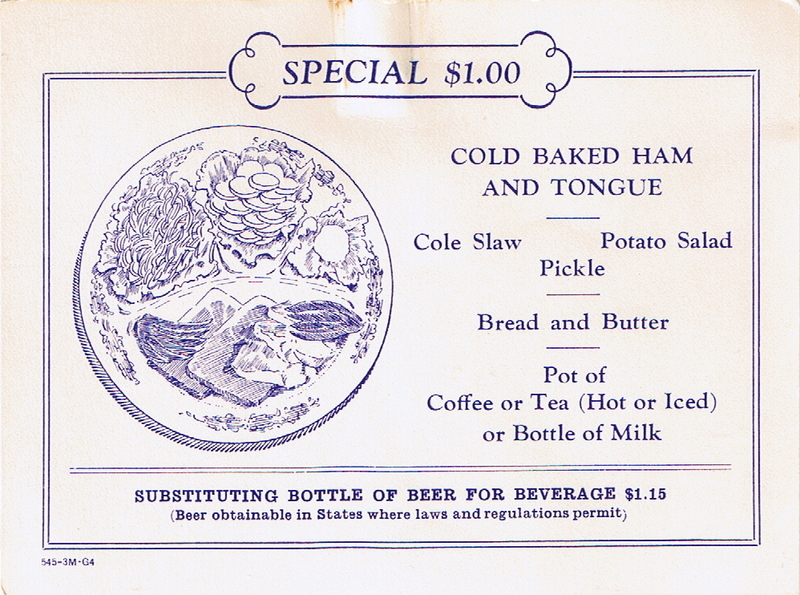 Includes a nice line drawing of the meal served on a famous Pullman divided plate.